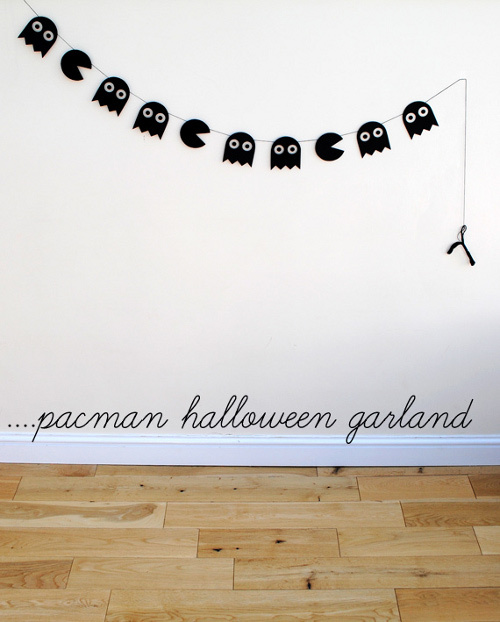 Kate on Minieco made this spiffy Pac-Man garland as a Halloween decoration. 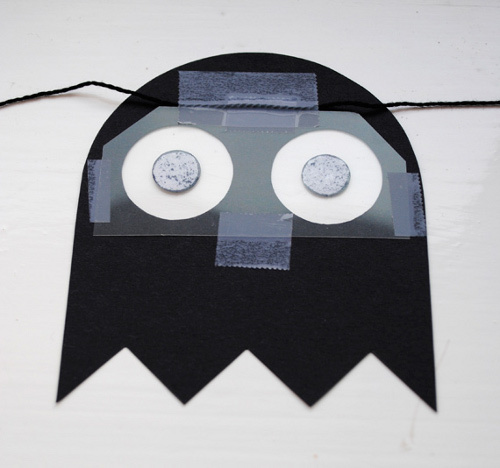 It’s just a matter of cutting out the template from her site on black paper, attach white plastic eyes, and hang them on a string. It’s nice to see a Halloween decoration that is different but not too scary. If you haven’t made your house festive for the season yet–I haven’t!–this might be a good way to go.